The Mexican billionaire agreed to unload some of his $70 bln telecom empire to satisfy regulators. After years of fighting a breakup, the abrupt concession suggests Slim is ready to reallocate his capital. Local TV, energy and banking may beckon as could opportunities overseas. Carlos Slim, President of the Carlos Slim Foundation and the Telmex Foundation, speaks during "A Conversation with Larry King and Carlos Slim" at the Milken Institute Global Conference in Beverly Hills, California April 29, 2013. 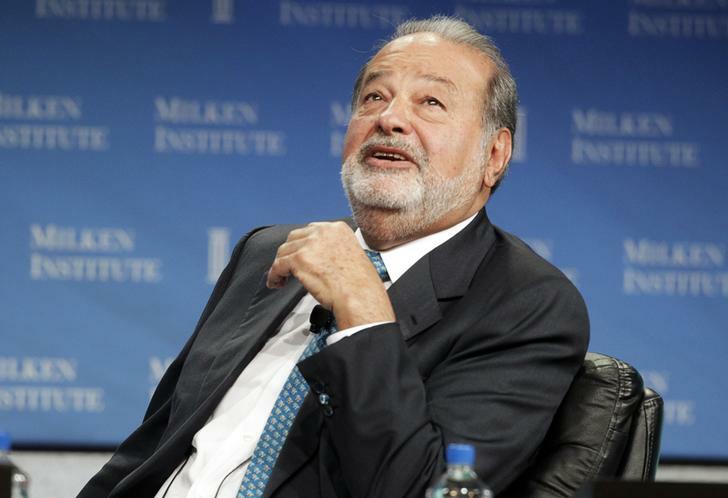 America Movil, the Mexican telecom company controlled by billionaire Carlos Slim, said on July 8 that it would divest assets to cut its domestic market share below 50 percent amid regulatory reform efforts by President Enrique Peña Nieto to increase competition in the industry. U.S.-listed shares of America Movil were up 8.8 percent in afternoon trading. The company, which controls 70 percent of Mexico’s mobile market and 80 percent of the fixed-line business, did not specify what it would sell, but a spokesman said on July 9 that it would aim to move quickly and hopes to find a single buyer.